Herald and Review Library: Photo of Macon County, IL. Draftees; Article on back of photo; "These young men have been sent by Decatur draft board No. 2 to an induction center for final physical examination. Those who pass will be inducted into various branches of the military service. 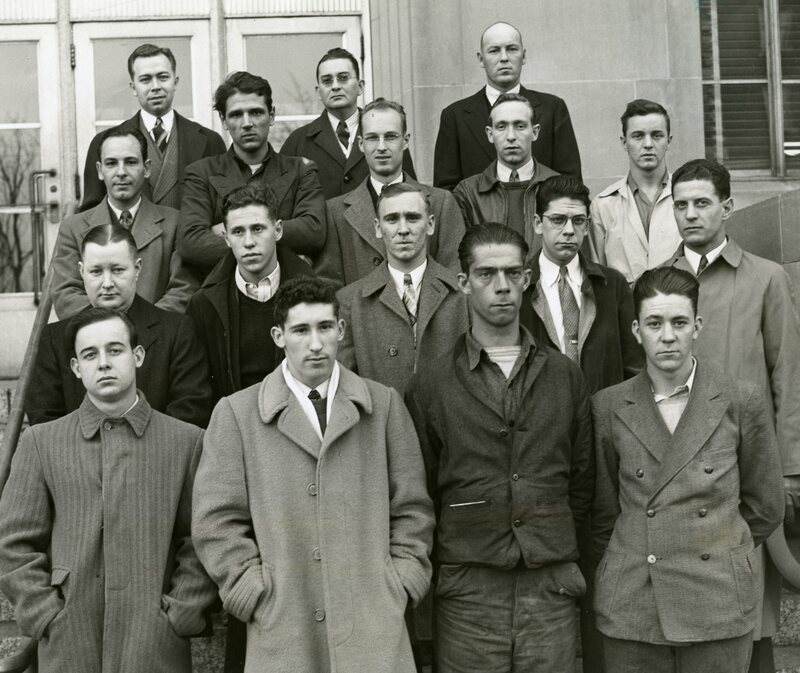 The group includes, left to right: Front Row: Donald L. Gollahon, John R. Schroat, Charles Knowles, Ernest A. 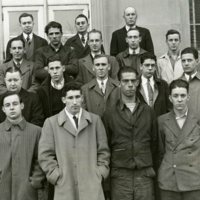 Smart; Second Row: Howard Bailey, Clarence E. Milo, Edward V. Oliver, John F. Hooge, Clarence L. Lyons, Jr.; Third Row: Lynn T. Markland, Ottis D. Twist, Wallace Frey, William Pete Peterson, LaVerne Bailey; Fourth Row: Joseph N. Grossman, Kenneth Wayne Drew, and Richard Yocom." Herald and Review, “Photo of Macon County, IL. Draftees Standing on Courthouse Steps.,” Decatur Illinois Public Library Local History Photo Collection, accessed April 24, 2019, http://omeka.decaturlibrary.org/items/show/2184.